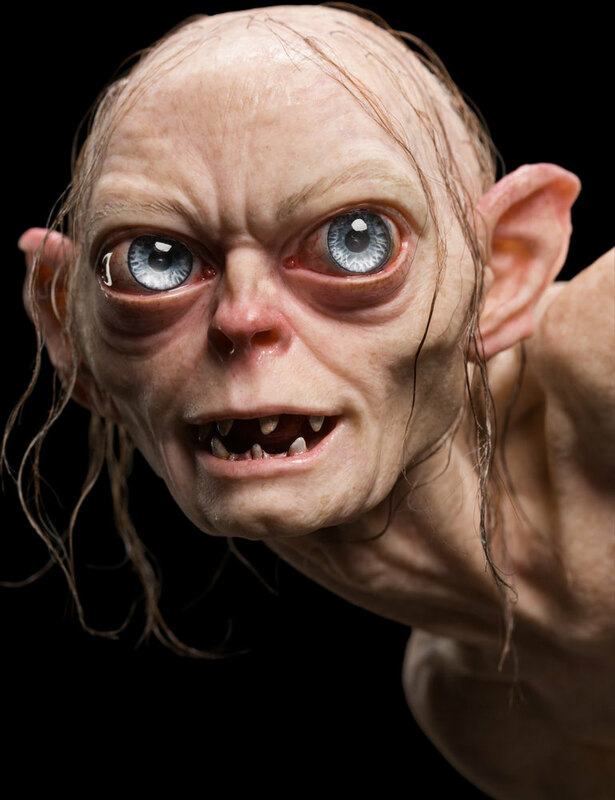 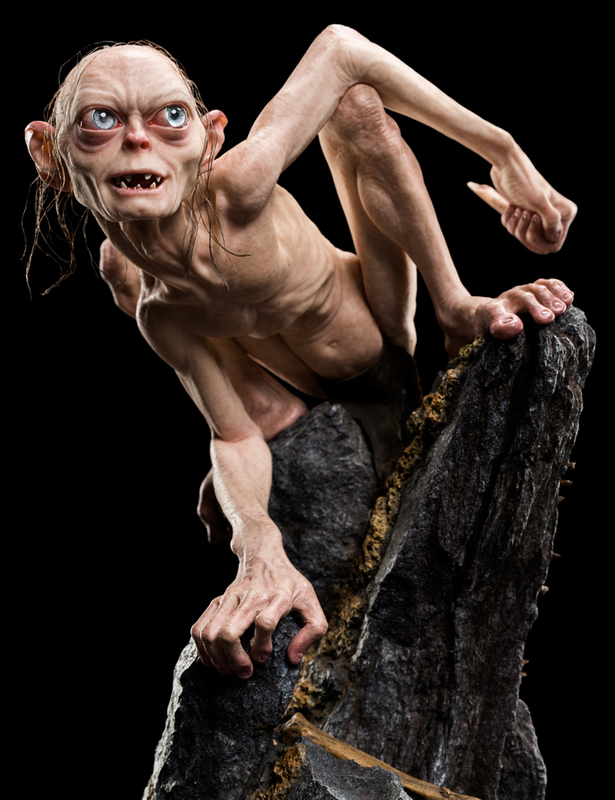 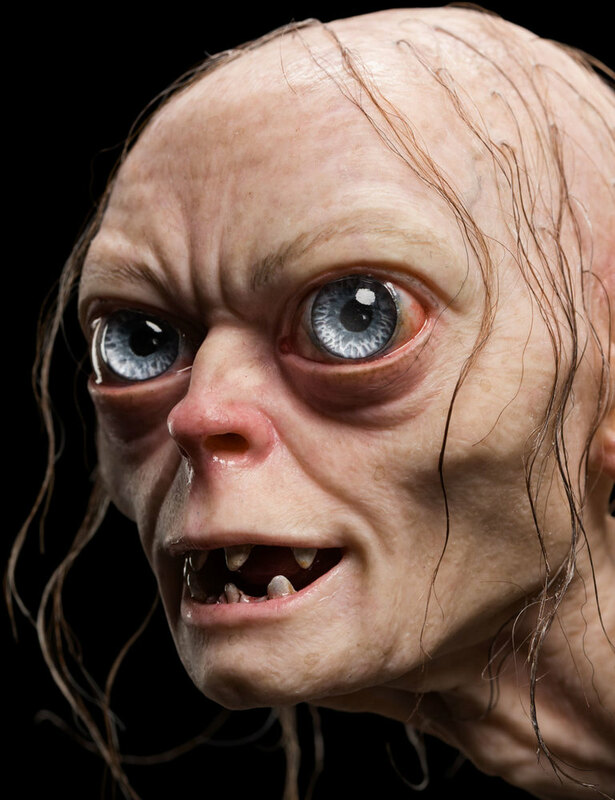 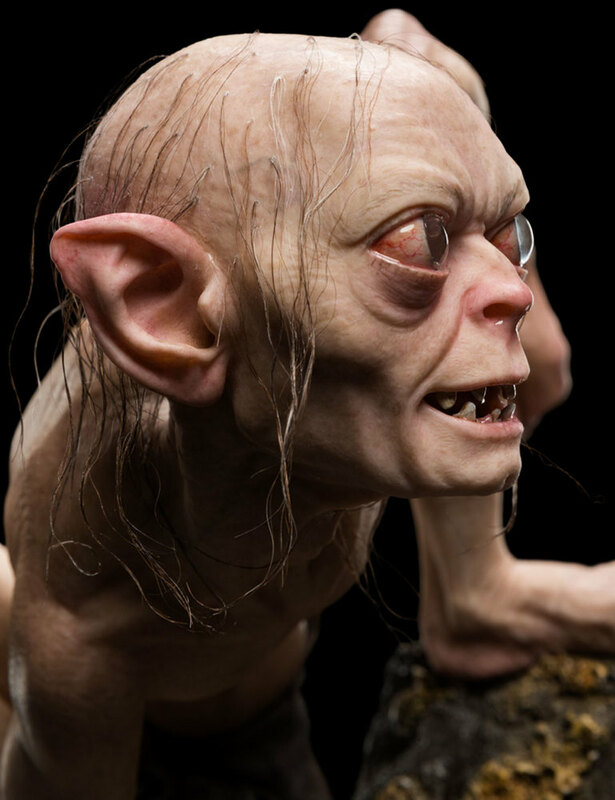 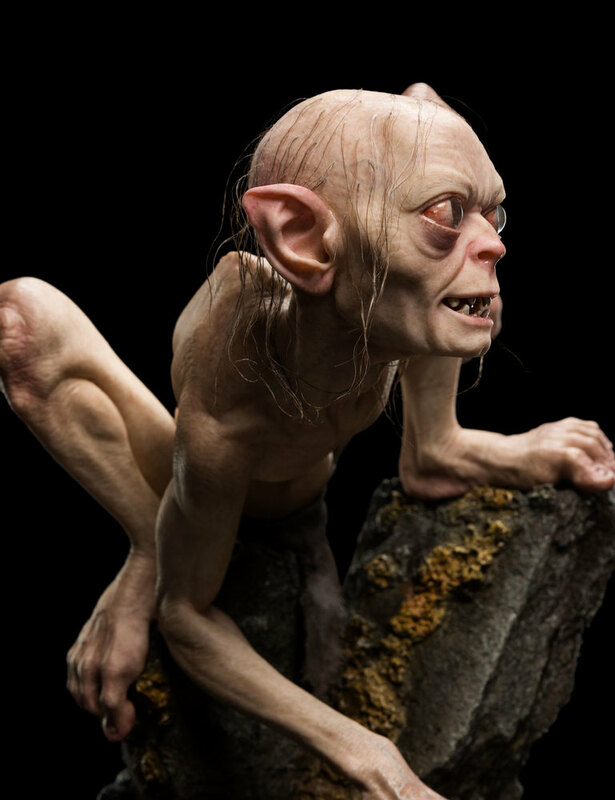 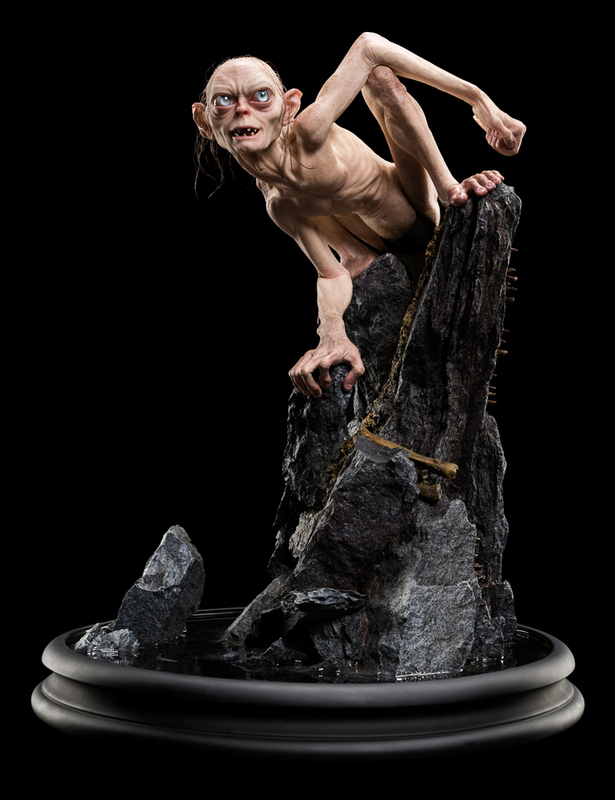 Two and a half years in development, Gollum has been crafted by Master Sculptor Jamie Beswarick, a member of Weta Workshop’s sculpting team for more than twenty years. 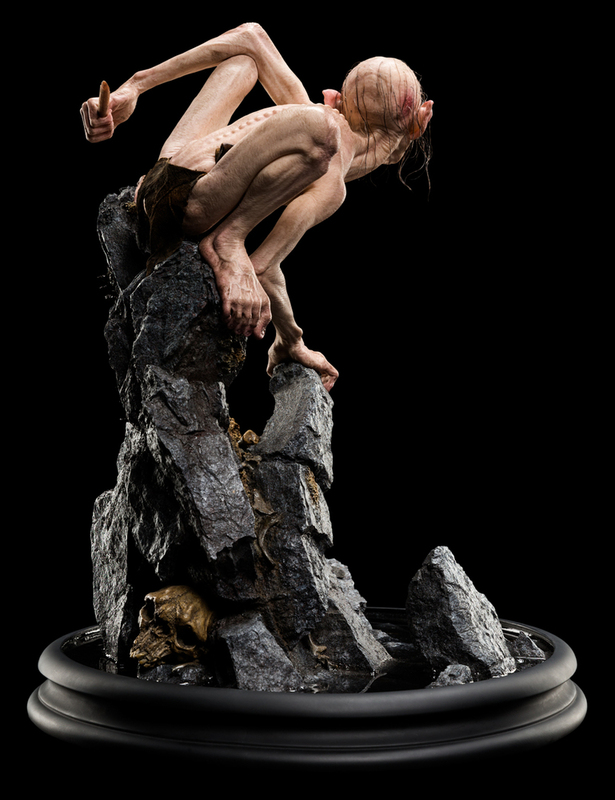 Featuring hand-placed natural hair, translucent skin, and cloth of real leather, this is the first time Weta Workshop has represented Gollum in 1:3 scale. 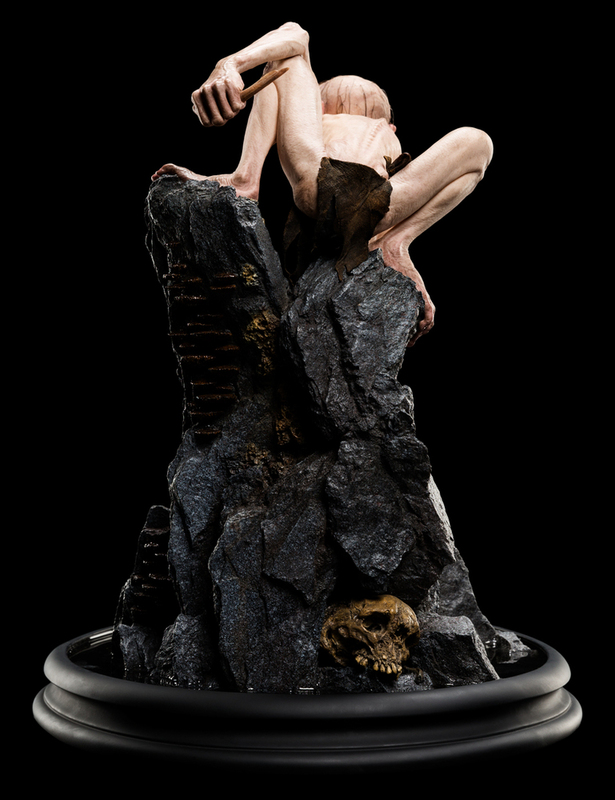 Near clear, water-effect resin lies the creature’s ill-fated Ring, undisturbed on the naked stone, caught in a moment in time. 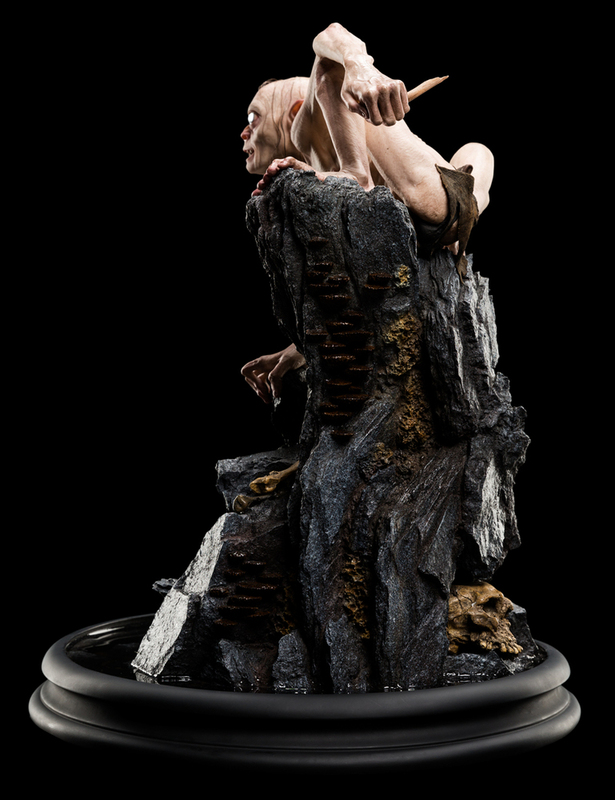 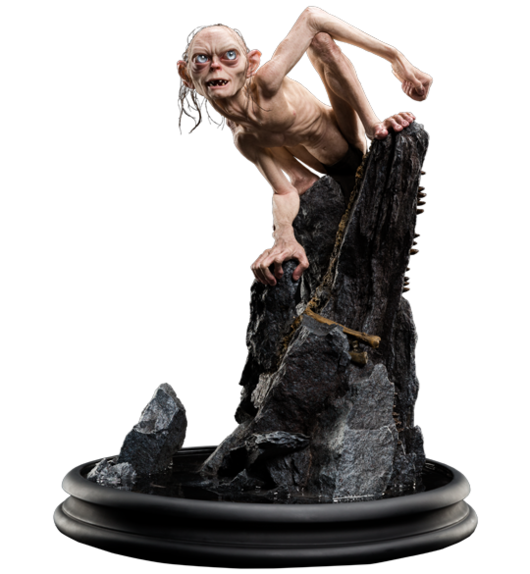 To celebrate the release of this very special first Masters Collection sculpture, we have created Gollum in a Limited Edition of just 589: one statue to mark each year of Gollum's life in Middle-earth.